Departure time: Train Sai Gon - Phan Rang departs from 8.30pm on March 30, 2018 Type of ticket: sleeping car with air conditioning. Arrival time: Phan Rang 3.30 am on Marh 31, 2018 - Shooting dawn with the Cham characters on sand hill Nam Cuong. Characteristics of Cham culture are from words, scripts, from the art and techniques of shaping earthen towers, stone statues, to embroidered fabrics, knitting, brocade weaving, or pottery and utensils for daily life. Cham people are always proud of ancient Cham towers built with terracotta. The image of ancient Cham dancers was carved into the temples, in which the Tra Kieu women's sculpture was one of the masterpieces. As part of the national culture, Cham folk architecture also has a long history and tradition. The hands and the creative mind of the Cham people clarify the richness, diversity and help us see the cultural exchange, the process of development of the people. Brocade is a traditional Cham profession. When the girls are to the age of marrying, they all know how to weave. Scarves, robes are considered as a measure of the resourcefulness of the Cham girls. 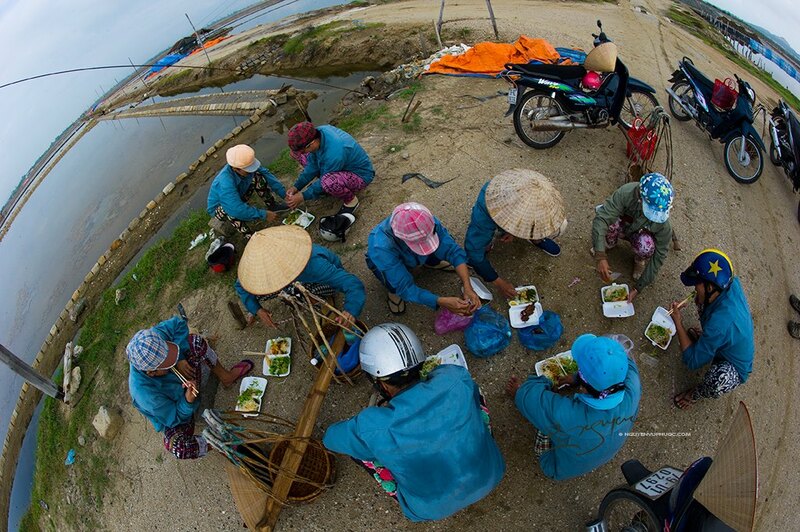 Khoi Nghi is a salt-making place with a beautiful location and hard-working people. This place is situated between Khanh Hoa and Ninh Hoa about 40 kilometers towards the north of Nha Trang, which attracts a lot of photographers from domestic and abroad to take photos of the works. 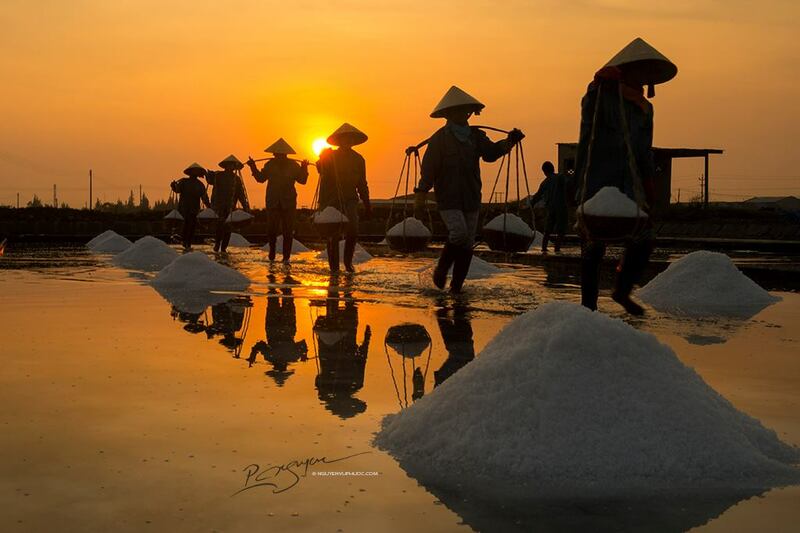 You can witness working day in a salt field when getting there. At the time, when the chicken was not crowded, these salt makers had to go out to start a day with working with salt. 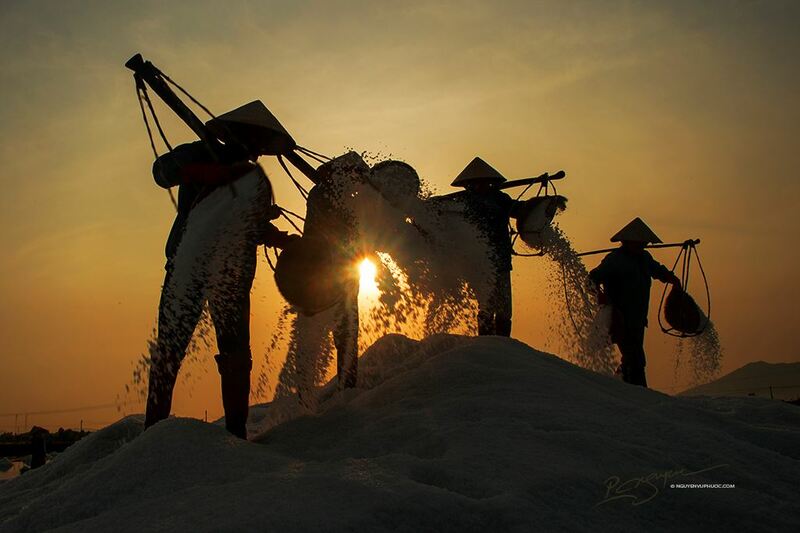 Especially, the main labor in the salt fields here is completely female. With only a couple of bamboo beds, they can begin work on their salt.